Bollywood, Mumbai blasts, new record, Policegiri, Sanjay Dutt, Zanjeer. 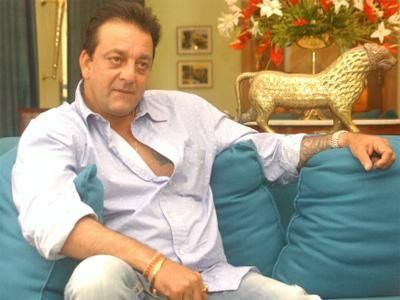 Amidst the din surrounding Sanjay Dutt’s impending jail term in connection with possession of illegal ammunition during the 1993 Mumbai blasts, what has come to the fore is that the actor is working round the clock to keep up his commitments. Dutt, who had recently stated that many in the film industry have been spreading false news about him, has created a new record by dubbing for ‘Policegiri’ in just three hours. Talking to a leading daily, producer Rahul Agarwal inform “It is humanly impossible for someone to be as good as Sanju. He completed dubbing for the entire film in just three hours. Dutt had to surrender to the police last month around, April 18, but had appealed to the Supreme Court to grant him some more time to complete his impending work. The actor will also be seen playing the role of Sher Khan in ‘Zanjeer’ remake, a character essayed by veteran actor Pran in the original version. The film in question will mark the debut of Ram Charan Teja, the son of Telugu superstar and Congress MP Chiranjeevi. Tags # Bollywood # Mumbai blasts # new record # Policegiri # Sanjay Dutt # Zanjeer. Labels: Bollywood, Mumbai blasts, new record, Policegiri, Sanjay Dutt, Zanjeer.